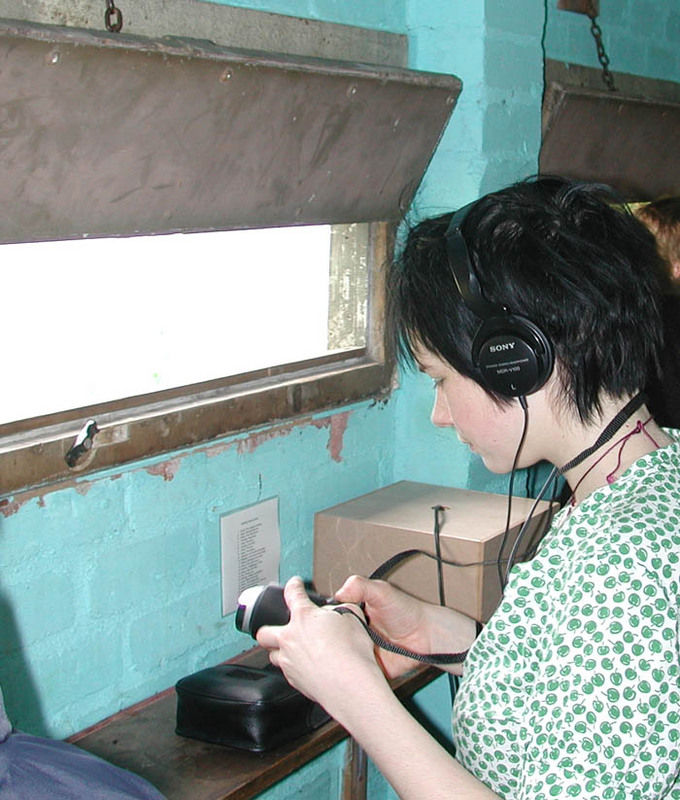 Sound installation in bird watching hide at Duddingston Nature Reserve, for exhibition 'Privacy: A Programme of Symposia', Edinburgh 2004. 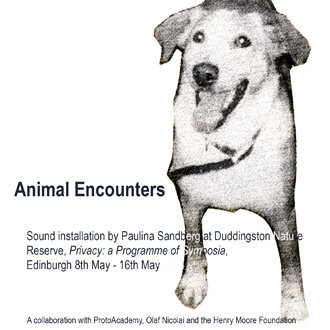 Privacy : A Programme of Symposia, various venues, Edinburgh 2004. A collaboration with ProtoAcademy, curated by Olaf Nicolai and the Henry Moore Foundation. sound work included in Ersta Konsthall sound archive, Stockholm, Sweden.